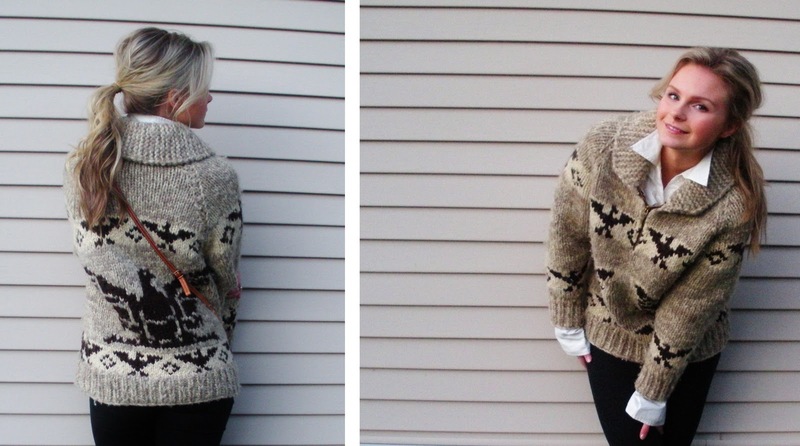 Sweater – Made by my mom! This is a sweater that my mom knit herself long before I was even born.Years later, here I am sporting the homemade creation! I bet she never imagined that both her daughters would love it so much as adults! Neat, hey? Although this sweater has a cool history, it’s not exactly the most flattering shape.But who cares.Sometimes you have to break the “what’s best for your body shape” rules and just wear what you like.I don’t mind looking like a box some days as long as I like what I am wearing.Not to mention it keeps me super warm and cozy! You look so cosy, those boots are lovely. I can't believe your Mother made that sweater, its really nice! I'm hoping one day if I have a daughter she will want all of my 'vintage' clothing!! GREAT sweater, love your style! Just came across your blog..it's really cool you have a very nice style! 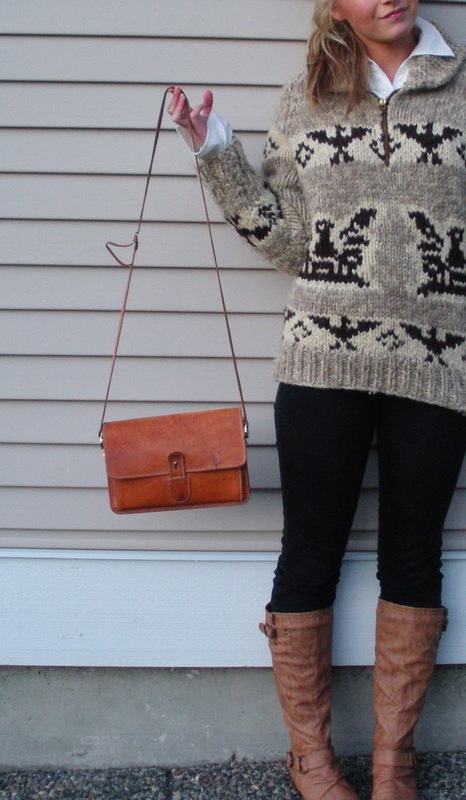 I love your sweater & purse! Cute jumper!I'm your new follower by Bloglovin! Greetings from Spain!xoxoM. That sweater is so gorgeous and I can't believe your mom made it! So much talent! It's so cute and I really love the print.